The motivation for this talk was that Alistair and Declan noticed a lack of technical sessions as the coach camp. When we planned we thought we would talk about something we are interested in. We then solicited input from Louise Taylor and Joanna Plumpton and we came up with the idea of a radio call-in show. 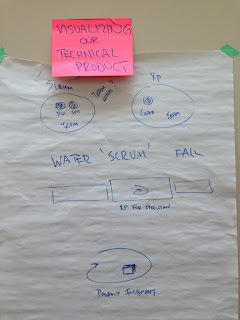 We decided this format to help provide answers to technical questions for non-technical agile coaches. When only two other coaches showed up we abandoned our radio talk show them and just talked. BTW, having only two coaches show up underscored my belief that we agile coaches, and the larger agile community are not placing sufficient emphasis on technical practices, technical debt and so on. 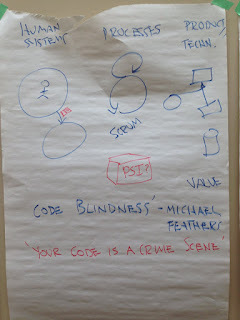 We first started talking about Scrum and how many companies work in sprints yet fail to build a PSI (i.e. potentially shippable product). 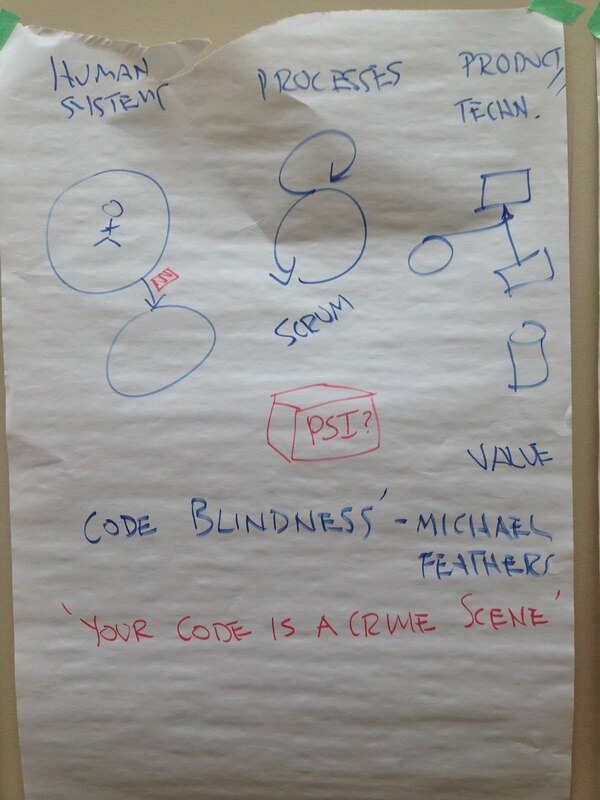 Worse, they don't see that they are failing to do Scrum. Declan pointed out he is starting to use the concept of explaining three more-or-less independent views to take to building work: Human Systems, Process and Product/Technology. 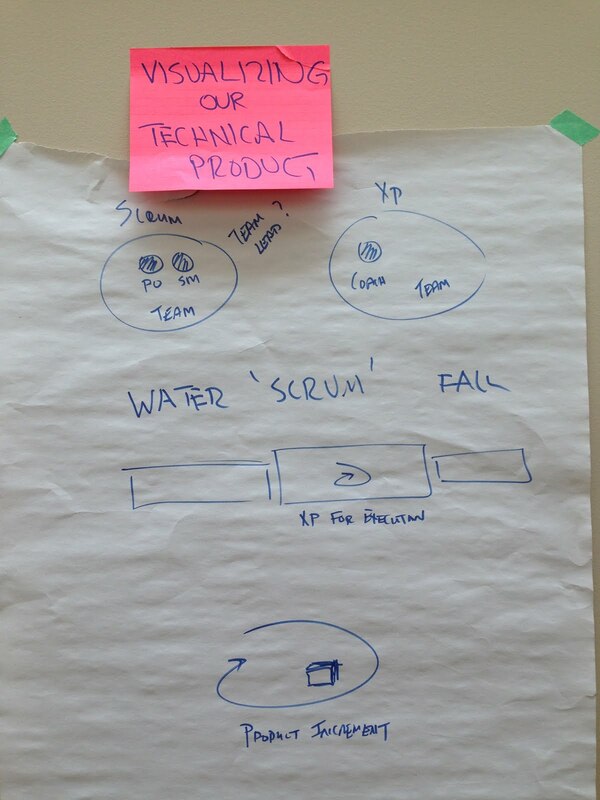 Many agile teams focus on process quite well. With agile coaches the need to pay attention to individuals, teams and leadership is considered. In general, little attention is paid to the technology practices and to minimizing technical debt.